The Ponca, linguistically related to the Sioux, had settled in the area of northeast Nebraska and southeast South Dakota, having migrated there from the Ohio River Valley. Although Congress granted them a reservation in this area, the 1868 Treaty of Fort Laramie granted their reservation to the Lakota. Rather than rectify the situation, Congress appointed funding to remove the approximately 800 Ponca to the Indian Territory (now Oklahoma) by force if necessary. In mid-summer 1877, the Ponca, led by their hereditary Chief, White Eagle, arrived under military guard at Quapaw Agency in today’s northeast Oklahoma. Refused permission to return to Nebraska, some slipped away to join tribes in the north. In December 1877, Chief White Eagle and other Ponca chiefs traveled west into the Cherokee Outlet area with Indian Inspector General John McNeil to choose land for a reservation and the location for the new Ponca Agency. The site chosen for the agency, which includes today’s White Eagle Park, was about two miles west of the confluence of the Arkansas River and its Salt Fork. This new Ponca reservation consisted of nearly 101,900 acres of prairie and river valleys in today’s Kay County. Agent Whiteman reported in August 1878, a month after their arrival, that the Ponca were living in a single large village adjacent to the site selected for the agency buildings. Ponca oral history identified the village site as today’s White Eagle Park, which they still call simply “the campground.” Unfortunately, many of the Ponca were unfamiliar with the more humid Southern Plains climate, and became sick. In January 1879, Chief Standing Bear and 30 followers attempted to return north to bury his son, but he was arrested for leaving the reservation without permission. His case received attention in the nation’s newspapers and calls for Indian policy reform became widespread. The camp by the river became the nucleus of the White Eagle community, and according to Ponca oral tradition some families lived in tents on the campground that became White Eagle Park into the middle of the 20th century. Ponca elders still recall life in that community in the 1920s and 1930s when everyone still spoke the Ponca language. Speaking the Ponca language as well as the social and ceremonial dances on the tree shaded campground now know as the South Arena reinforced and sustained their Ponca identity. The campground in White Eagle Park was the location for one of the most important, unifying, and enduring Ponca traditions, the Ponca Powwow. The Ponca believe and historians of powwow culture acknowledge that today’s intertribal contest powwow originated in the Ponca gatherings and activities at the White Eagle Powwow ground and quickly spread to other tribes. Long before their removal to the Indian Territory, the Ponca had developed their own dances, which included the Hethushka, or War Dance, practiced by several Plains tribes. 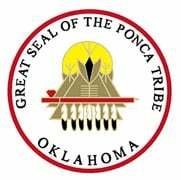 The Ponca were known for their excellence as singers and song making. These songs carried and maintained basic elements of their culture, especially language, history, values and beliefs. They also, according to Ponca singer and song maker Lamont Brown, could bring physical and spiritual healing. The dances held there included the Hethuska Society dances, as well as the Scalp Dance, Wolf Dance, Veterans’ Dances, and family dances. According to Ponca oral history, they held an annual dance, or “powwow,” for the whole tribe every year after 1878. By 1938, the annual Ponca Powwow had grown to a four-or five day event with large crowds converging on the campground at White Eagle Park to watch or participate in the dances. They could also view exhibits of Ponca crafts and watch baseball games featuring the Ponca Indian Cyclones. A Powwow Princess was chosen on the opening Thursday night, a list of dance contestants was announced, and a schedule of events through Sunday night was advertised in the newspapers. Earlier in the 1930s, a New Deal program, thought to be the Works Progress Administration or the Civilian Conservation Corps, Indian Division, had walled the spring and built a gazebo over it and a stairway for easier access from the camping areas. There were also 21 new concrete and stone tables for meals and domino games. Workmen had also constructed three large five-tiered stone and concrete bleachers on level ground at the north end of the park, which provided audience seating for a space that served as both a baseball diamond and a large, lighted dance ground now known as the North Arena. For generations of the Ponca people, particularly those who no longer lived in the White eagle community in the late 20th century, the Ponca Powwow and the return to the campground at White Eagle Park meant coming home. White Eagle Park was listed in the National Register of Historic places on June 8, 2007.